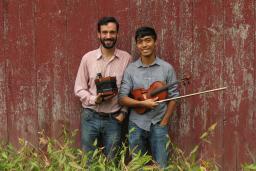 Get out your green because the luck o’ the Irish is coming to Providence in a big way. This year marks the 21st anniversary of the annual St. Patrick’s Day Parade and festivities, among other block parties and events happening throughout the city. Did you know at one time, in 1870, Providence was home to the sixth greatest concentration of Irish residents in the U.S.? St. Patrick’s Day falls on a Sunday this year, so mark your calendars and get ready to celebrate! 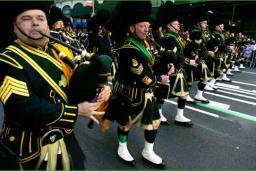 Providence&apos;s St. Patrick’s Day Parade will be held Saturday, March 9, in the Smith Hill area beginning at noon. The parade is considered the largest in the state to celebrate this popular Irish holiday. The Guinness St. Pat&apos;s 5K will start and finish at the Rhode Island State House on Smith Street in Providence on Saturday, March 9, at 11 a.m. Walkers are welcome. Participants who select the option to register for all three Tour de Patrick races online, will receive a FREE Tour de Patrick mug. Be sure to register early! Gather your fellow leprechauns and head to Union Street for one of the biggest block parties of the year on March 16 and 17. The party starts at noon and continues into the night, both inside The Rosendale and outside in heated tents. Add that to traditional Irish fare, the infamous drunken Irish egg rolls, fun and games, and this party is definitely not to be missed! 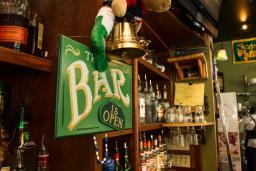 The OG of Irish bars in Providence, Murphy’s was established in 1929 as a lunch hot spot. 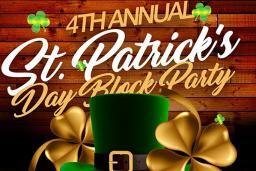 Now owned by former employee Ruth Ferrazzano and her son, Murphy&apos;s carries on the Irish tradition with one heck of a St. Patrick’s Day party on Sunday, March 17. Murphy’s prides itself on Irish cocktail offerings, the ability to catch overseas “football” games, and lively music. The Old Time Lounge is a monthly Intermediate/Advanced Old Time music session, occurring every third Sunday, hosted by your friendly Rhode Islanders: Armand Dale Aromin, Benedict Gagliardi, Michelle Kaminsky and Alan Bradbury. Since it&apos;s St. Patrick&apos;s Day, you&apos;ll be sure to hear some classic Irish tunes. The session starts at 4 p.m. on Sunday, March 17. The Irish energy will be felt in full force in Providence on the 17th. Plan to stay overnight, stroll the city to enjoy the festivities, and don’t forget about our award-winning dining scene. 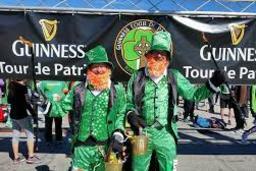 Click here for more St. Patrick’s Day fun in Providence.